Fall—it’s the most wonderful time of the year for folks in South Carolina. Leaves turn, the weather cools, and festivals abound. 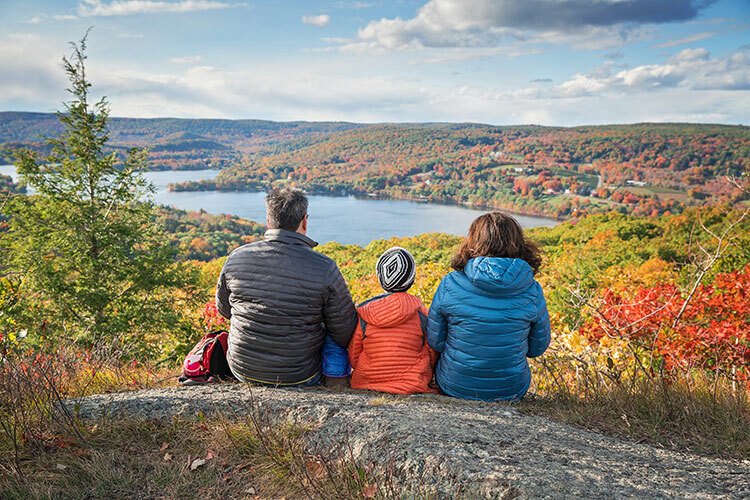 Enjoy guided hikes, ATV adventures, u-pick apple orchards, and much more. There’s truly no better place to be during the fall than in South Carolina, and these 10 activities sweeten the season. 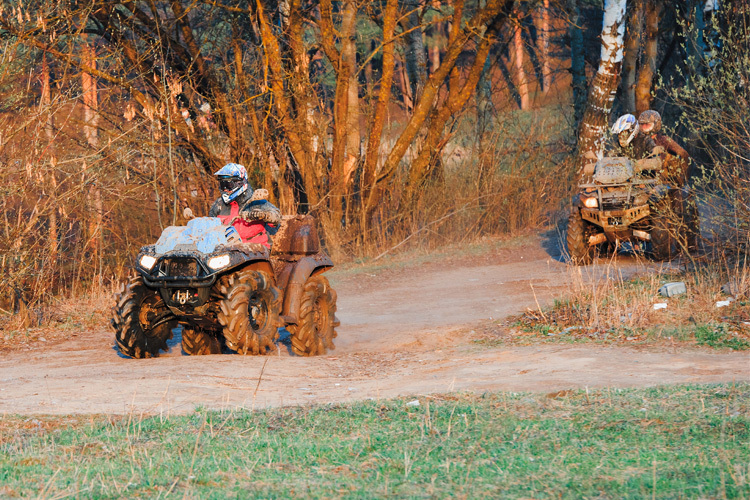 Gulches in Waterloo is the premiere destination for Jeeps, ATVs, UTVs, and any other vehicle that fits nicely on the trail. You can score a full weekend pass for just $50, with single days starting at just $15. 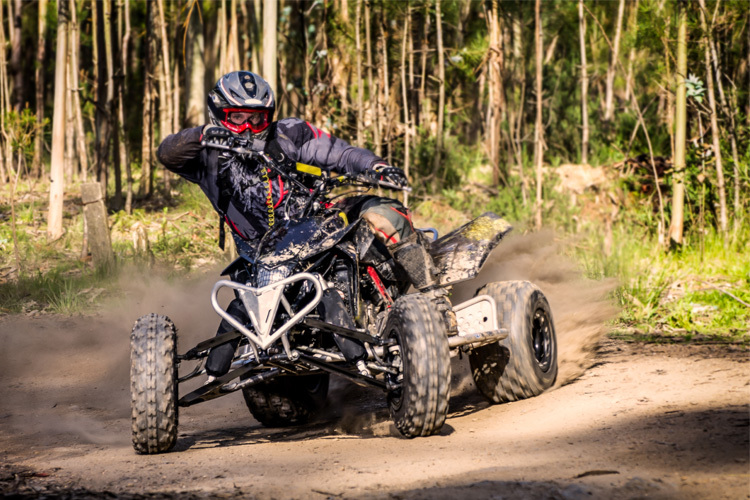 The park is family friendly and fun for all ages, and also includes camping and plenty of trails for all skill levels. This homey little resort is a great place to truly get away from it all, especially if you love being surrounded by fall colors and crisp, fresh air. Situated in the middle of nowhere in Long Creek, you’ve got panoramic views of nature along with campsites that are perfect for events, bonfires, and total R&R. The camping area offer electricity and showers, so you won’t be completely “roughing it,” but it’s also a quiet, rustic spot that’s a great reminder of the simpler things in life. Surrounded by beautiful vistas and rolling hills, Long Creek’s Chattooga Belle Farm has an outstanding fresh market you’ll want to visit more than once. Whether you’re camping at nearby Chattooga River Resort or just passing through, you can stock up on grass-fed beef and U-pick and pre-picked apples, among other finds. Take a tour of the farm or stop for lunch at their scenic bistro—you might not want to leave! There’s no better time to join the Greenville Natural History Association than in the fall. 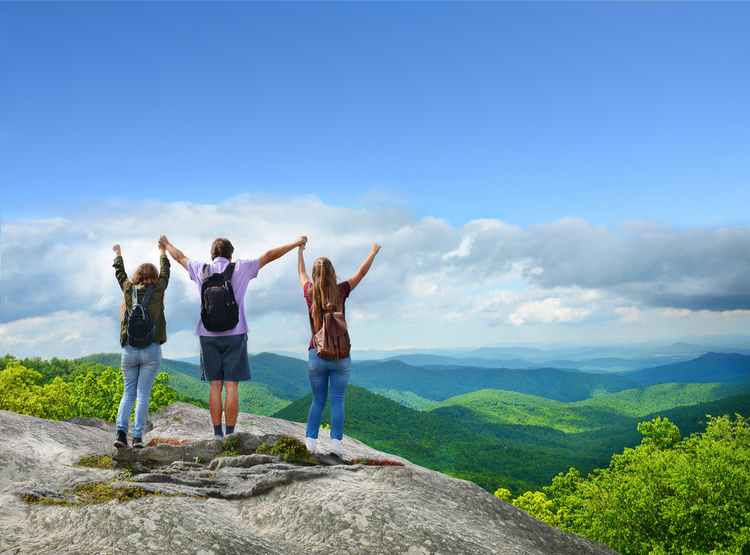 The largest hiking club in the Upstate travels to some of the best trails in the area, and your membership will connect you with fellow hikers. 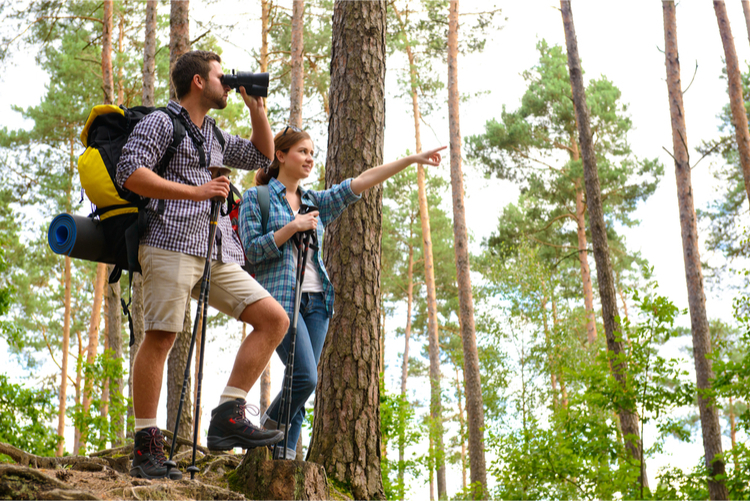 Hikes are planned well in advance so you can make arrangements to join, plus they have hikes for all skill levels so everyone can join the fun. Table Rock State Park’s majestic bare-faced mountain and stunning scenery make it the ideal place to enjoy fall foliage. Hike during late October, when foliage colors will be at their peak. 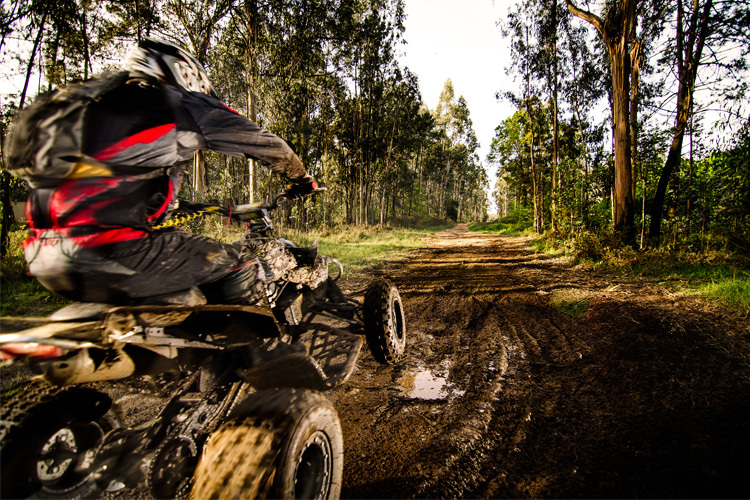 The park is studded with trails of varying lengths and difficulty, so plan on spending the day here. This old-fashioned general store in Pickens is the perfect fall respite for two reasons: first, with a name like Pumpkintown you know it has to be good! And second, this place is close to Table Rock State Park so you can grab a bite to eat after (or before) your day’s adventures in nature. This place has been around since 1938 and is still dishing out some of the best burgers and hot dogs in the area. Held on the first Saturday in November every year, the South Carolina Pecan Festival is “Florence’s nuttiest festival.” The event features over 250 food and craft vendors, special art demonstrations, a free kid’s zone, amusement rides, tractor shows, marathon races, and so much more. There’s something for everyone at South Carolina Pecan Festival. Greenville’s prime location in the Upstate is never more than an hour’s drive to the best hiking, camping, climbing, and biking destinations in the state. The city is also home to a variety of outdoorsy retailers, including Appalachian Outfitters, Half-Moon Outfitters, Trek Bicycles, REI, and Sunrift Adventures. You can find all your fall outdoor gear here, then head to your adventure. Early fall is the best time to watch the broad-winged hawk migration at Caesar’s Head State Park. From mid-September through early October, visitors at the park can witness one of the most awe-inspiring events in nature against a majestic mountain backdrop. At times, you may see up to 10,000 birds passing through the area. Once the air turns crisp, tent camping on the beach is a must. Edisto Beach State Park offers a number of oceanfront campsites that give you some of the best views in the area. The park is a hotspot for bicyclers, birdwatchers, hikers, and geocaching, plus nature abounds at every angle.